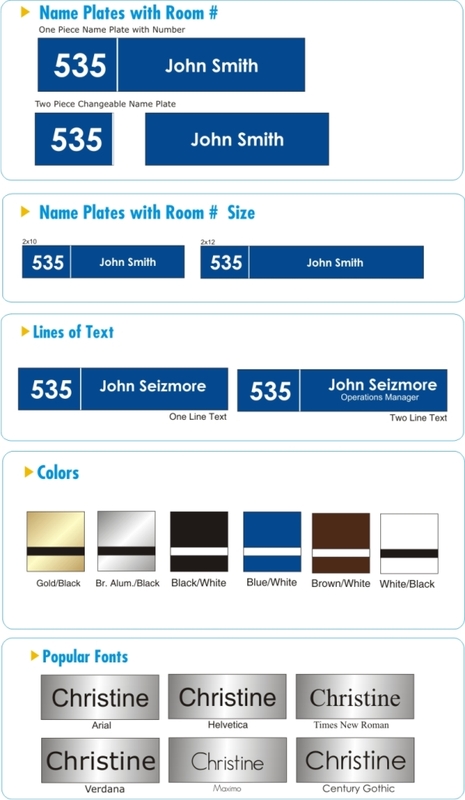 Our name plates with room numbers are laser engraved into 1/16" two ply acrylic and come in popular colors such as silver and black, gold and black, blue and white, etc. as well as popular fonts. The name plates are designed to slide into a wall holder (sold seperately) These name plates are available as a single piece or two piece for easy name changes. 2" x 3" 2" x 7" 2" x 10" 2" x 12"